Looking to buy, rent, or learn more about our Kiosks? 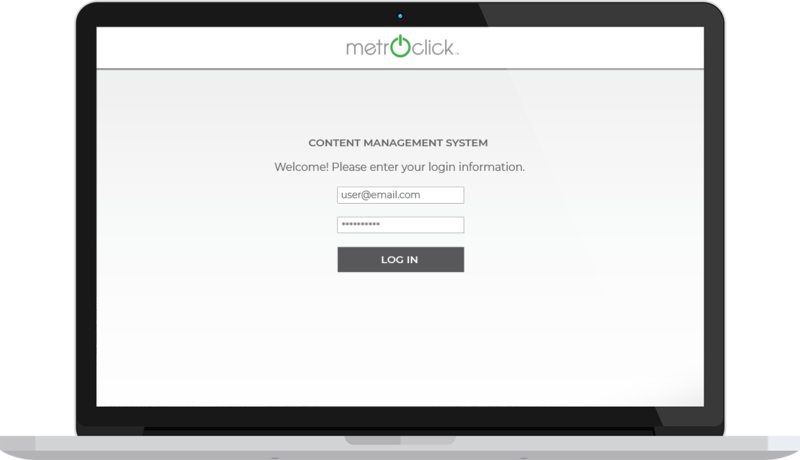 The Metroclick Content Manager enables a live display of any developed touch application on the kiosk or other touch solutions. Learn more here. Metroclick’s CliqClik photobooth provides a completely customizeable branded photobooth, complete with branded wrapping, GIFs, and photoframes. Learn more here. 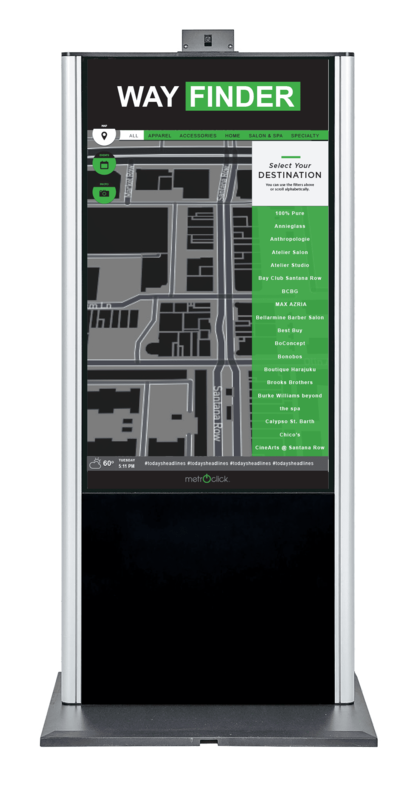 Metroclick’s Wayfinding system provides navigation through a large event, mall, building, or neighborhood. Learn more here. 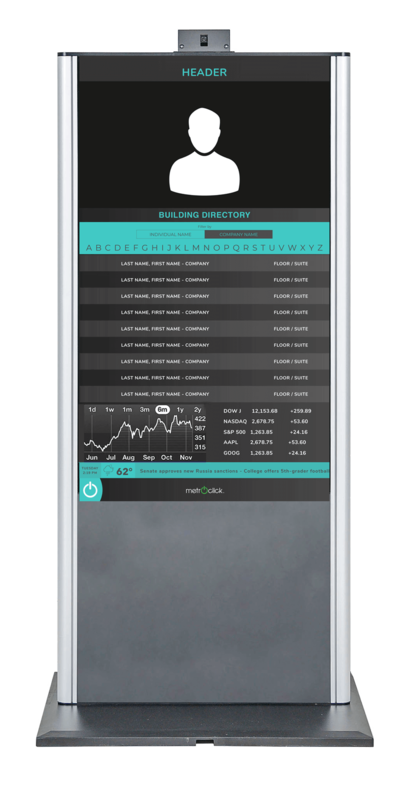 Metroclick’s directory is a real-estate solution that provides easy-to-use building and office directories, equipped with widget displays and sign-in software. Learn more here. 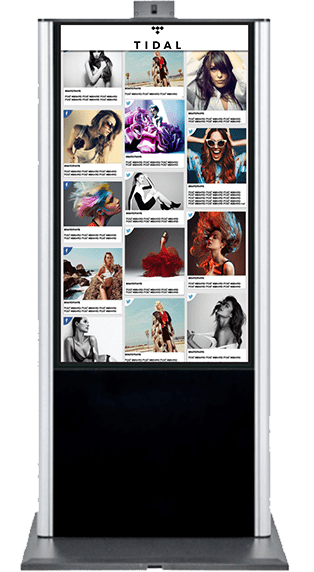 Metroclick’s social station displays a live feed of photos, videos and posts from any brand’s social handles, hashtags, or profiles. Learn more here. Looking to buy, rent, or learn more? Contact us.